HomeOne Family Race. My #BeWoW post. One Family Race. 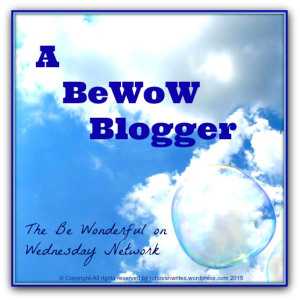 My #BeWoW post. There has been a lot of violence lately in the US based on racial problems. There are even now reports of gangs, very prominent gangs, stating they are now going to be targeting the police. Apparent members of those gangs have since stated that is false. I’m not one to describe races. I see skin tones and some physical differences but that’s not a different race. There is no such thing. I am greatly disturbed at the lack of response to curb the behavior of what’s happening. On one side, if you are an government employee you become a neutral party. There should be no need for anything said, but there is a need. Some police officers, all the way up and down the chain are stupid. You can take that to the political arena if you like. Then you have the citizens. For some reason there is an environment that believes mob mentality and destruction of property will gain something. The President of the US spoke to the situation recently occurring in Baltimore where the National Guard had to be called due to days of peaceful protest being ignited into a riot by what might be opportunist looking to use a riot to hide looting. Watch the full words of the President here. The comments are part of a larger press conference with the PM of Japan but the video jumps to those words specifically about the Baltimore situation and others. I advise those who want to depend on their own hearing of his entire speech as opposed to the various networks edited versions to give their own desired spin, listen. It’s worth it. I’ll leave it at that. Now for positive parts of today. My son is awesome. For the longest time he didn’t even know a person might be called black. His preschool teachers were normally African Americans and he loved them a lot. As far as he knew they just and darker skin and that’s how he described people. An African American was a darker skinned person. A Chinese girl was the pretty little girl with dark hair. He knows now because other people have described people certain ways. Actually his African American teachers told him they were black at some point. I may be a bit unique in the house about how I view it all. Every skin tone, hair color, and eye shape can marry each other. Some don’t think you should, just because of the problems it might cause either the couple or the kids later on. It’s the 21st Century. There are ‘interracial couples’ in my church and are active members who are loved by everybody. You don’t see color. You see family. To me that’s what people are, family. Even people I can’t stand are family if you go back far enough. We are all cousins to some humongous degree number. Even if you don’t believe in the Bible and God, and you believe in slime to man or man and gorilla have a common ancestors, you still have to think there were only so many original humans and we all came from the same ones. Science has shown we come from one woman or at least share DNA like that. We’re family. Act like it. Sure, families disagree, but they don’t kill each other. They may not speak, may ignore, may even move away, but they don’t kill. Well hopefully. I mean they might if they are nuts. Yes, family talks bad about each other, but under it all they love each other and push comes to shove they will be there for each other. I wish that was how it was now. Perhaps with a different world view, a different mindset of who we are and how we are connected we all would get to that point. ← Tomorrow is #BeWoW Day. What is Family to You? Nicely stated! I teach my kids to love and respect others, and to judge by character–not appearance. The example with you son shows how children can naturally see people, without the interruption from adults–perhaps we have a few things to learn from kids? 🙂 Thanks for sharing your thoughts. I’ll be posting my BeWow later on today. But for now I just want to thank you for what you said in this post. It’s so needful for us to understand that we really are all family. Thank you for sharing your heart with us, Ronovan. Your son is awesome. There have been studies that most kids presume from an early age to be racist. Some people claim it’s the fear of different tribes rearing it’s head in our genetics. I remember feeling like your son- not knowing what people meant. Seeing others similarities before their differences. I hope he can keep that attitude in life. I had a go this week Ronovan! So eloquently said, you really need to read this!